What Is It About Orion? With the exception of our moon, and perhaps the Big Dipper, I would bet that more people could locate Orion’s belt over any other feature in the night sky. Bright and distinctive, Orion jumps out of the night; familiar and instantly recognizable, a mystery despite its shining prominence. In Greek mythology Orion was known as The Hunter. A giant, who hunted with an immense bronze club. His father was Poseidon, who is said to have taught Orion to walk on water. Several accounts of Orion’s demise exist – in one he was slain by the sting of a scorpion, in another Artemis the Goddess of the moon and hunting fell in love with him. Her twin brother Apollo, enraged because love made her forget to light up the night sky, convinced her to shoot an arrow at what appeared to be a wave in the sea. Not knowing it was Orion out for a swim, the grief stricken Artemis put Orion’s body in the night sky to gaze at for all eternity. 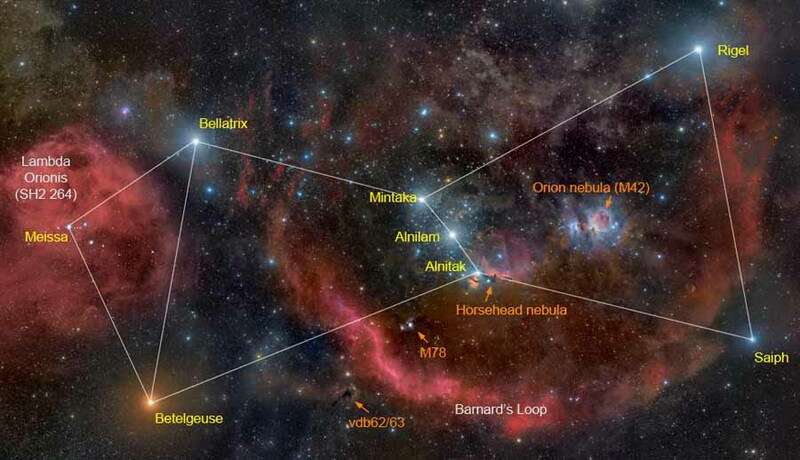 Ancient Egyptians believed their Gods, Isis and Osiris came from the belt stars of Orion. They also believed that it was the place their pharaohs would travel to upon their deaths. There isn’t a corner of the ancient world untouched by Orion; an integral part of creation myth from Africa, Europe, China, South America, to the American south west. I’m pondering the universal fixation on a single nebula. The great pyramids of the Giza Plateau, Teotihuacan in Mexico, Karnak, Nabta Playa, Thornborough Henges, Hopi villages – all aligned with the constellation Orion. Ancient civilizations, worlds apart, yet united in a single belief that life originated within Orion. 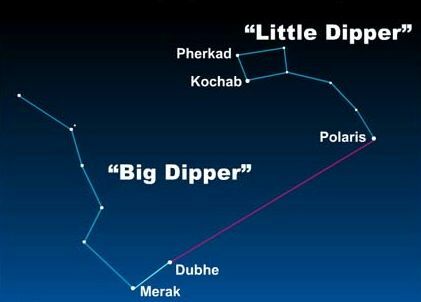 This entry was posted in Ancient History, History, Mysteries, Opinion, Our World, Postaday, Religion, Science, Space and tagged Arts, Betelgeuse, Big Dipper, constellation orion, hopi villages, Hunter, Literature, Nabta Playa, Orion, Orion's Belt, Rigel, thornborough henges. Bookmark the permalink.